Check your home with A.M.I. 's Professional radon test kits. Professional Radon Test Kits from A.M.I. Services. Radon is a radioactive gas that comes from the natural break down of Uranium in surface rock, soil and water. It can be found in any type of building and can build up to dangerous levels in your homes air and water. Radon gas is found in every state in the U.S. and kills up to 30,000 people each year from lung cancer. It is highly recommended that you test your air and water for radon gas wherever you live. According to the EPA, exposure to radon gas causes more cases of lung cancer than exposure to second hand smoke. 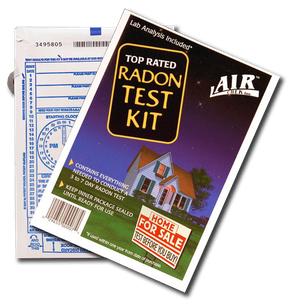 AMI services provides you with three affordable, reliable and easy to use radon test kits to test your home or office for radon gas. Every home or office should be tested for radon gas at least once a year. So don't wait, for your own piece of mind, get a radon test kit today! Everyone should perform a radon test in their home at least once a year. 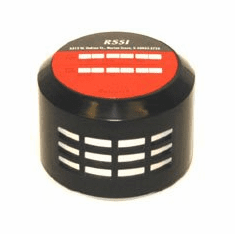 Performing a radon test is the only way to measure radon levels or exposure. It's better to know if you and your family are at risk. 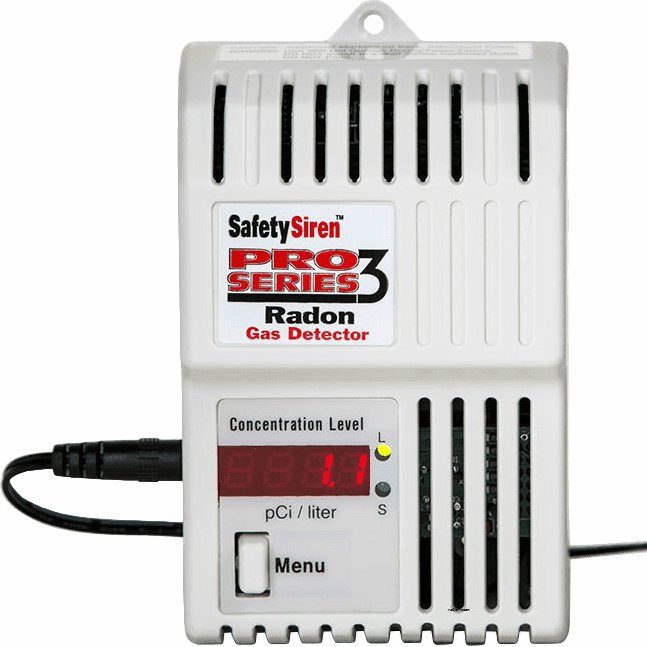 The Surgeon General and the EPA recommend conducting a radon test on all homes, second floor and below. The EPA also recommends that schools test for radon levels as well. 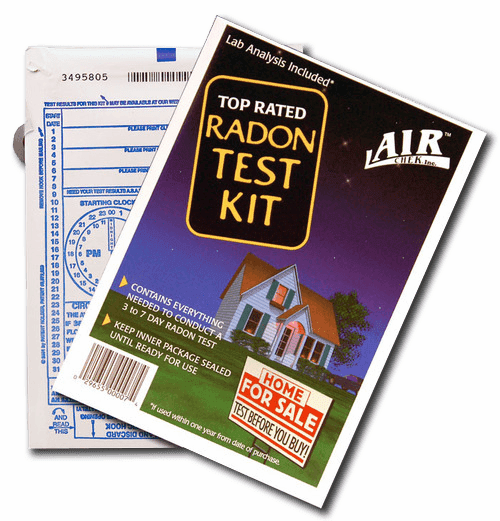 Each type of radon test kits are inexpensive and easy to use. Millions of Americans have already used radon tests in their homes. It only takes a few minutes of your time to set up. Our short term radon test kit, long term radon test, and radon water test can be found on this website. All radon kits to test your home. The amount of radon in the air is measured in "picoCuries per liter of air," or "pCi/L." Sometimes test results are expressed in Working Levels (WL) rather than picoCuries per liter (pCi/L) (4 pCi/L equals to 0.016 WL). Using a short term radon test, if your result is 4 pCi/L or higher (0.02 Working Levels [WL] or higher) take a follow-up test (Step 2) to be sure. � For a better understanding of your year-round average radon level, use a long term radon test. � If you need results quickly, use a second short term radon test. The higher the result of your initial short term radon test, the more certain you can be that you should take another short term test rather than a long term follow-up test. If your first short term radon test result is several times the action level - for example, about 10 pCi/L or higher - you should take a second short term radon test immediately. Fix your home if your long term test result is 4 pCi/L or more (0.02 Working Levels [WL] or higher). The higher your short term results, the more certain you can be that you should fix your home. Consider fixing your home if the average of your first and second test is 4 pCi/L or higher (0.02 Working Levels [WL] or higher). � Carefully follow the instructions that come with radon tests. � Close your windows and outside doors and keep them closed as much as possible during the test. � Be sure to close your windows and outside doors at least 12 hours before beginning the test. � You should not conduct short term tests lasting just 4 or so days during unusually severe storms or periods of unusually high winds. � The radon test should be placed in the lowest lived-in level of the home (for example, the basement if it is frequently used, otherwise the first floor). � It should be put in a room that is used regularly (like a living room, playroom, den or bedroom) but not your kitchen or bathroom. � Place the radon test kits at least 20 inches above the floor in a location where it won't be disturbed - away from drafts, high heat, high humidity, and exterior walls. � Do not disturb the test device at any time during the test. � Maintain closed-house conditions during the entire time of a short term test, especially for tests shorter than one week in length. � Operate the home's heating and cooling systems normally during the test. For tests lasting less than one week, operate only air-conditioning units which re-circulate interior air. � If a radon-reduction system is in place, make sure the system is working. � Once you are finished, follow the directions for sending the test back to the laboratory. � If an elevated level is found, fix the home. Contact a qualified radon-reduction contractor about lowering the radon level. EPA recommends that you fix the home when the radon level is 4 pCi/L or more.